The holidays are coming up, as evidenced by increasingly chilly temperatures and the many Christmas-themed commercials that are already hitting the airwaves. Maybe you’re counting down the days to an East Coast vacation or you’re just trying to avoid the drudgery of yoga pants and sweatshirts on those uncharacteristically chilly winter days – either way, if you’re a Southern girl like I am, it’s quite likely that you’re totally clueless about how best to bundle up when the temperatures drop. Now that I’m living in New England, I’ve had to learn the hard way that my cute leather jacket alone isn’t gonna cut it. Here are a few of my favorite tips for looking good and staying warm this winter. In more mild weather, scarves are just cute accessories. But on cold, windy days, a good scarf will become your best friend. And materials matter – a long scarf woven from a wool-cashmere blend is definitely worth the investment. A chunky knit will work as well. Open-air markets and craft sellers’ sites like Etsy are great resources for unique, handmade scarves. 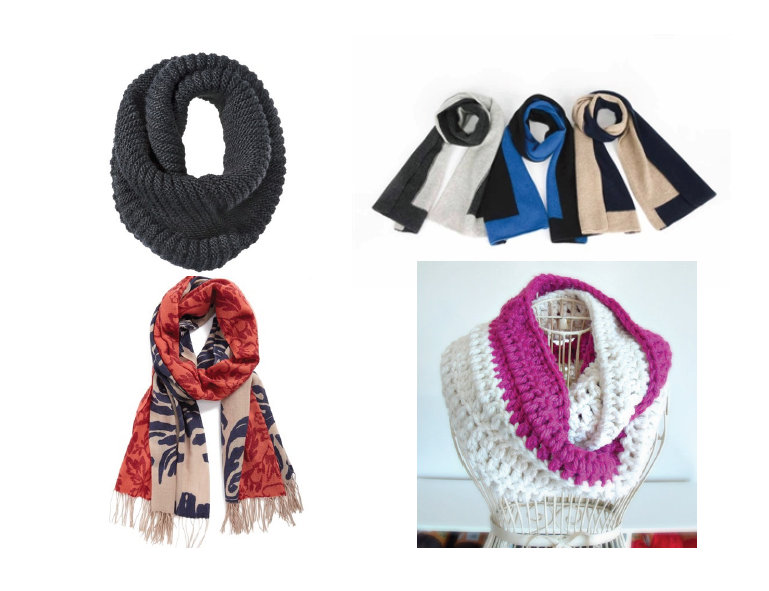 A good scarf is your key accessory for winter, but you can’t forget about hats, ear warmers, mittens, gloves, and cozy socks! Keeping your hands, feet, and head warm will keep you from being completely miserable on a cold day. Oversized knit hats are great, but if you’re not much of a hat person, a cute crocheted ear warmer will do the trick. 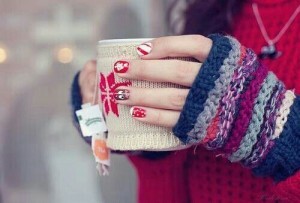 Mittens are your best bet for keeping your hands toasty, but they aren’t exactly conducive for compulsive smart phone use. I’d recommend a pair of fingerless gloves with cute little hoods that can slip over your fingers, and turn your gloves into mittens. As for socks, nothing beats a good fleece or wool pair, especially with wellies in wet weather. And nothing will make you feel more put-together than a matching hat and mitten set! 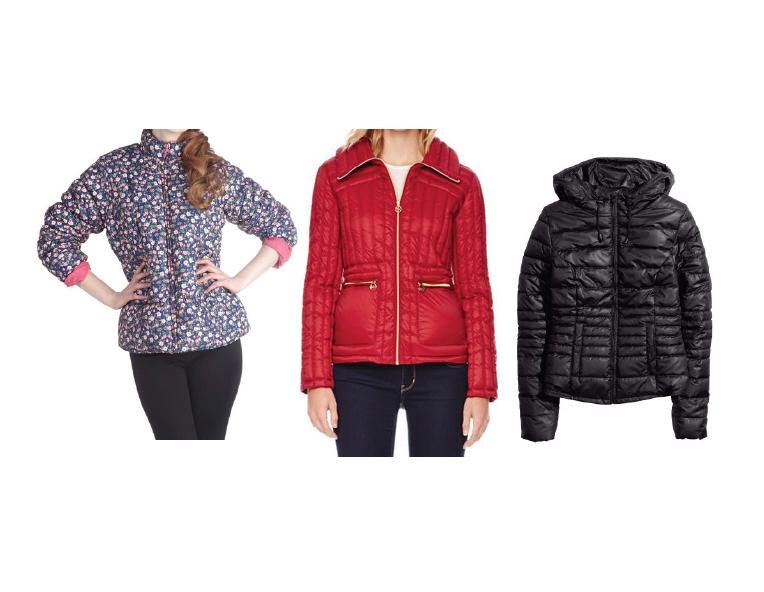 I remember being in middle school and cringing at the idea of wearing my puffer – I didn’t want to look like a big, brown marshmallow! A couple weeks ago I was practically begging my dad to mail me the very same jacket. Puffers are great because they’re super warm, they hold up against wind and rain, and they’re surprisingly easy to pack – some designers and stores are even selling ultra-portable puffers that can easily fold down into tiny pouches. And puffers range from heavy-duty weatherproof coats to more lightweight versions that can be worn alone on warmer days or layered over cozy sweaters for cooler days. 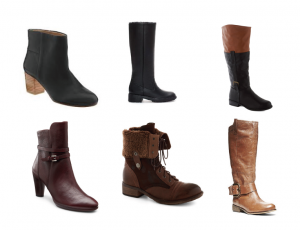 You’re going to want to wear boots every day – and that’s okay! Sure, I have some great year-round flats and pumps, but on a cold day, I wouldn’t compromise your cozy socks for a brand-new pair of Louboutins. 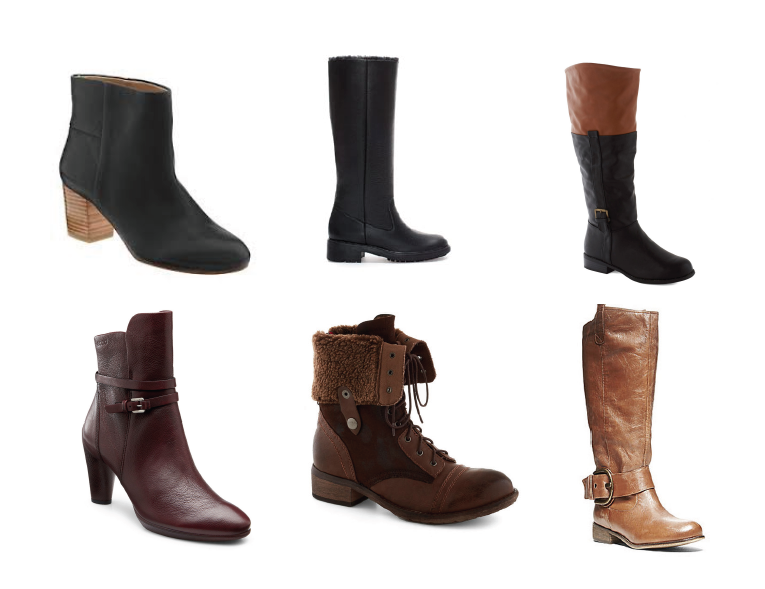 Luckily, there are tons of amazing boots out there in all kinds of different colors, styles, and heel heights. High-heeled ankle boots are all the rage this winter and can easily be dressed up or down. If you go for a heel, make sure it’s comfortable to walk in – stumbling through slush in a pair of stilettos is downright dangerous. A great leather knee-high boot will take you far, whether you choose a rugged, weathered finish or one that’s more sophisticated. And of course you can’t go wrong with a boot that’s lined with shearling or fleece. Good boots tend to be a little pricey, but they’re worth the investment, especially if you’ll be spending an extended amount of time in a colder climate. One of my least favorite things about New England is the fact that buildings tend to be insanely overheated (not to mention how grossly hot it is on the subway). So while you absolutely need to bundle up outside, it’s pretty much a given that you’ll be sweating through your puffer once you get inside. For this reason, layering is absolutely essential for winter dressing. A pretty standard formula to follow is this: a thinner long-sleeved shirt, a stylish jacket, and a warm coat (plus all of your trusty winter accessories). Of course, it’s always a good idea to take any special weather conditions (i.e. snow, high wind chill) and what your day will look like (Will you be inside for most of the day? Do you have a lot of walking to do?) into account when you layer up for the day.